The Night Wages is available from the Cista Mystica shop. The story of Parzival says that there is a lion in us: a lion who opens its vast jaw to the feasts of court, the tangles of the forest floor, the intrigues of culture, the thin road of the pilgrim. It has spirit-appetite. This lion is independent; willful, focused, sometimes harsh—it cannot be bought. It longs to wrestle with God. The lion consumes emptiness and space with just the same vigor as it settles on fresh meat. Rumi’s lion is in the business of saying no. 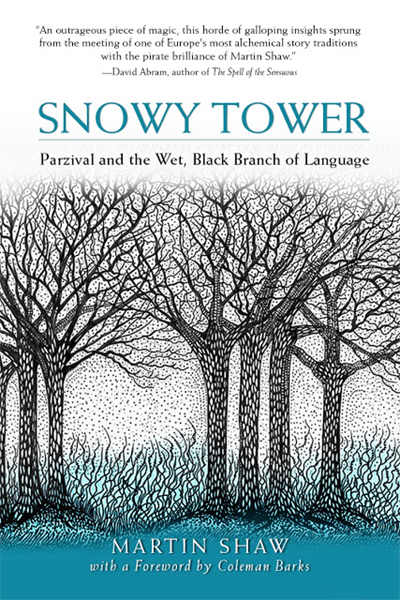 Snowy Tower: Parzival and the Wet Black Branch of Language is available on Amazon. A brilliant exploration of myth, wilderness and a life of depth and vocation. Shaw claims we are socially addicted to the act of severance and have replaced longing with disappointment. This, in turn, creates a defence against our own beauty. 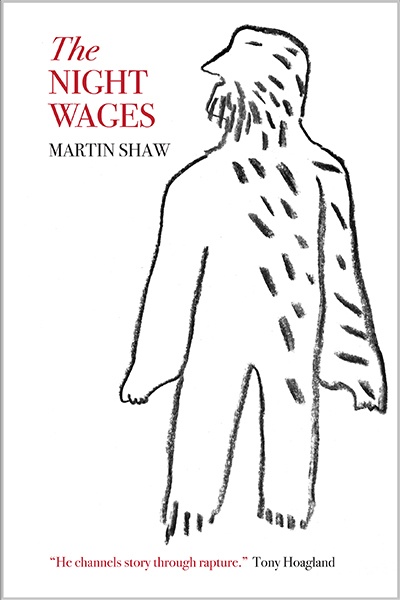 With a cluster of initiatory myths, deft commentary and personal narrative of his four years in the wild, Shaw suggests a ‘Culture of Wildness’ is possible, indeed vital, for a restoration of soul in our lives. 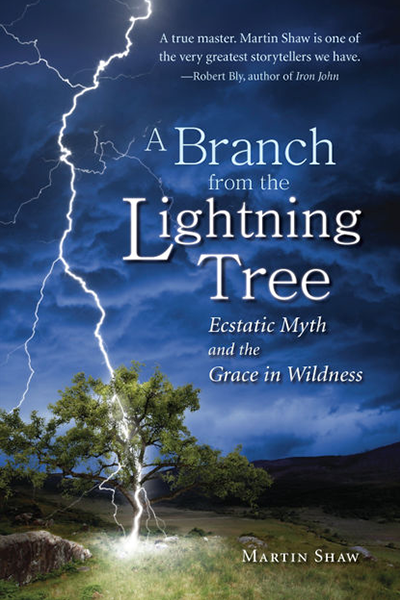 A Branch from the Lightning Tree: Ecstatic Myth & the Grace in Wildness is available on Amazon. It’s messy, opinionated, and asks more of you than you will likely want to give. It’s the tale of a myth teller making a circle ’round their den and bedding in. No tales of flapping Tibetan prayer flags, no wandering the deserts of North Africa. Scatterlings reveals to us that when you gaze deep enough into the local you find the nomad, and when you look deep enough into the nomad you find the local. It is a rebel keen, a rising up, to bend your head to the stories and place that claim you. 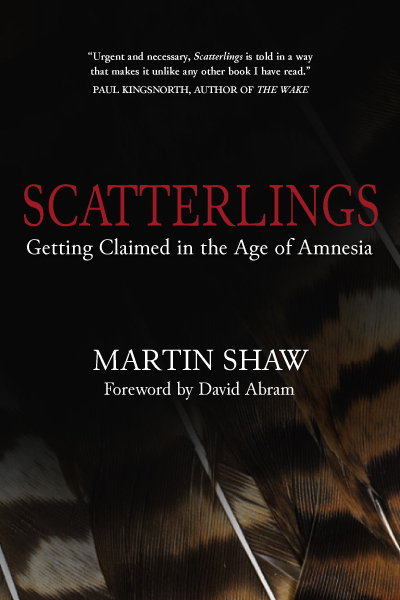 Scatterlings: Getting Claimed in the Age of Amnesia is available on Amazon. What if the stories owned us rather than the other way around? The eye of the needle is everywhere, abiding patiently for you to quilt your life to the Otherworld.